Our salsa is unique — driven by the desire to be different, we left onions out of our salsa recipes. 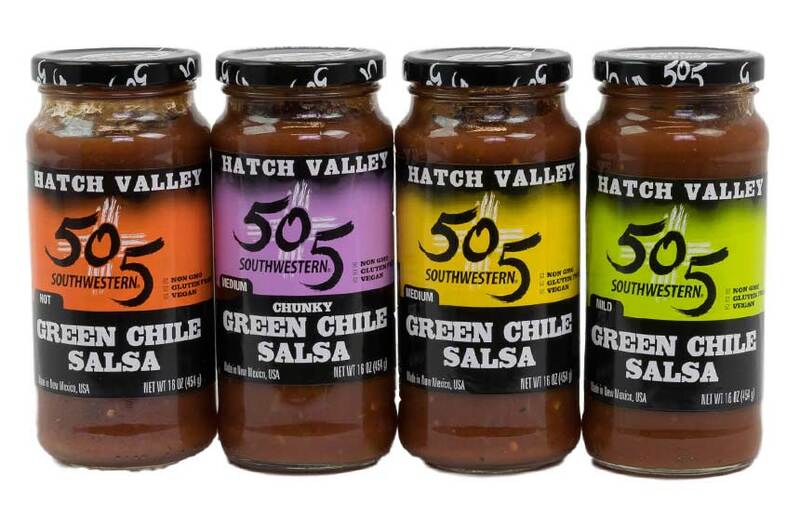 Ingredients: our proprietary formula includes tomatoes, Hatch Valley green chile, water, jalapeños, garlic powder, lime juice and salt. Primary Usage: our salsa is perfect with tortilla chips, on cottage cheese, and even baked potatoes. GMO Free, Gluten Free, Allergen Free, Preservative Free. Available in 16oz & 40oz glass jars. 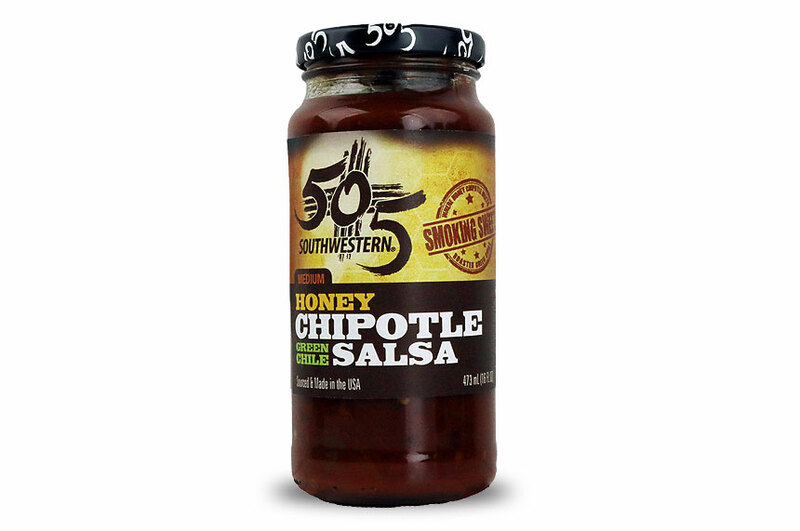 This is our unique twist on red salsa as we add green chile, hold the onion and create a sweet, smokey flavor by using just the right amount of honey and chipotle. Ingredients: tomatoes, Hatch Valley roasted chile, honey, chipotle, garlic and lime juice. Primary Usage: Our salsa is perfect with tortilla chips, cottage cheese and even baked potatoes. 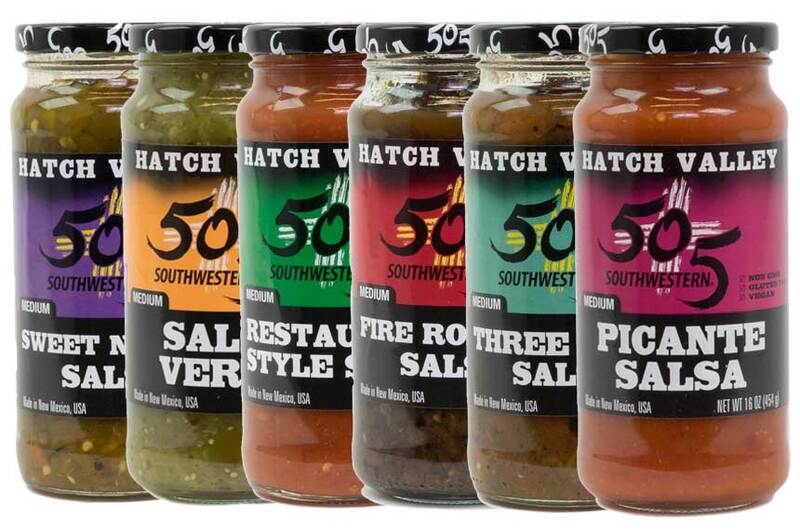 With the desire to be original/relevant, we’ve created one of the most authentic New-Mex green salsas available. 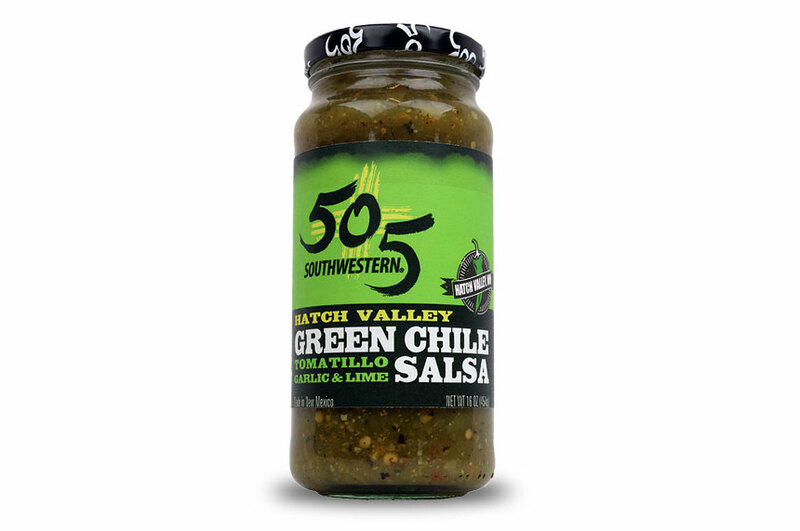 Ingredients: we add tomatillos, garlic and lime to our Hatch Valley roasted green chile, and trust us when we say, this creates a truly amazing salsa.